Specializing in commercial and residential electrical work, such as interior house wiring, code updates, lighting and circuit repairs, remodeling, ceiling fans, hot tubs and pools. We are a full service electrical company dedicated to creating the friendliest customer experience possible. That’s why we strive to maximize efficiency, keep our prices fair and maintain the highest level of quality and service.” Regardless of the scope of your project, we have the tools and manpower to finish it on time, at the right price, and to your complete satisfaction. 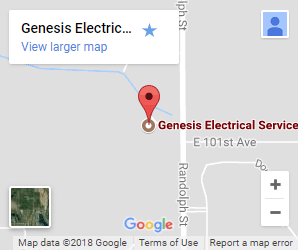 So when you need an electrician you can count on, one who will work around your schedule and perform professional, competitively priced work, count on Genesis Electrical Service. Call today to schedule an appointment or receive a free estimate! We take pride in the work we do and look forward to providing you with unmatched service. Sometimes the electrical current in your home may undergo a surge or spike where the level of current briefly rises above the designated flow of electricity. Installing surge protection can really help week you home and office safe. In the U.S the designated electrical voltage for your home is 120 volts. When the electrical current rises above this set voltage a power surge occurs. Power surges can easily fry your computer or other home appliances, rendering them useless in a moment. Lightning damage can occur in a moment. If you run a business that is contingent upon motor driven machines or computers these quick surges can be devastating. At Genesis Electrical Services, we are a full service electrical contractor specializing in surge protection for your home or business. We provide and install a wide range of surge protectors that range from smaller units for the home to super protective commercial surge protectors that may save your business. We buy our surge protectors factory direct and (they) are guaranteed to save your appliances should a power surge occur. Genesis Electrical Services is fully licensed and insured and offers competitive rates on our installation services. Don’t wait, get surge protection. Call Genesis Electrical Services today for a free estimate! Office: For conference rooms, General Electrical Services offers table outlets for laptops, speakerphones, and presentation devices. For IT Stations, we offer surge-proof safety outlets in multiple areas for maximum efficiency. Business: Genesis Electrical Services can accommodate your business in-store display outlets, as well as station table outlets for restaurant kitchens. We can install switches to suit your every lighting need, such as dimmer switches, timer switches, and toggle switches. Custom wall plates, parking lot lights, neon lighting and security lighting options are also available. Do-it-yourself home improvement projects can be fun for the whole family – but when it comes to lighting repair and installation, it’s usually wise to leave the job to a professional electrician. Rewire lamps, ceiling lights and chandeliers. Don’t take the risk of injury or fire when repairing a light or lighting fixture at your home or place of business. Give us a call – 24 hours a day, seven days a week – and we’ll be right over to give you a hand. Your home’s electrical wiring is like the body’s central nervous system, which makes your electrical service panel its heart. Interesting way of looking at it, don’t you think? Has it been a year or longer since your electrical wiring system and service panel have been inspected? If so, continue reading below. Our licensed, expert electricians can help ensure that your electric service panel is up to code. When you make an appointment with us, we’ll do a thorough inspection of your home’s electrical system, and check that everything is in working order. Then, we’ll recommend any changes it might need to ensure it stays that way. With our 24/7 emergency hotline, we’re available day and night for any electrical emergency you might have. Do you find yourself running to the electric service panel to restore power somewhere in your home when several major appliances – like your dryer, TV, and stove – are on at the same time? Are you tired of resetting all the clocks in your home every time another fuse has blown or breaker has tripped? Are you hesitant to invite company over for dinner for fear of embarrassing power interruptions? The installation of one or more electrical sub-panels to augment your current power supply. Upgrading from a fuse box system to a circuit breaker panel. Upgrading from a lower amp circuit breaker panel to one that can meet your current growing power needs. Your Genesis Electric technician will examine your current electrical system, evaluate your power supply needs, and then recommend exactly the right solution for your home and budget. That’s the way the process should work. And with Genesis Electric Service, it always does. We look forward to our next opportunity to serve you. Electrical emergencies never happen at convenient times – which is why we’re available 24 hours a day, seven days a week to help you with whatever electrical problem you’re having. Emergency Services are easy and safe with Genesis Electrical Service. Then, we’ll get to work fixing the problem – so you can get back to normal operations with minimal disruption. We specialize in emergency service and have years of experience with both residential and commercial service work. So, don’t hesitate to call us, anytime day or night – we’re here to help. Did you know that over half of the fires that occur every year are caused by electrical problems? All too often, people don’t realize their electrical system can malfunction until it’s too late. That’s why we encourage all of our clients to schedule regular electrical testing. Workplace – we conduct thorough scheduled inspections that ensure your employees, equipment and environment is safe. Home – from breaker panels and groundings to home appliances, frayed wires and basic home safety, we’ll check your home and recommend repairs, upgrades or rewiring. Don’t leave your safety to chance. Give us a call today to schedule a full electrical testing of your home or business. Ceiling fan installations are becoming more popular. With energy costs constantly on the rise, it’s never been a better time to install a ceiling fan in your home or office. A ceiling fan is an energy efficient way to cool your home. A beautiful ornate ceiling fan also adds to the décor and aesthetic quality of a room. When replacing an existing light with a ceiling fan, we will take time to evaluate proper box support. Having the proper support for a ceiling fan is an important aspect to the installation process. We want to make sure that you enjoy your ceiling fan for many years to come. We can also install remote for existing ceiling fans. The remotes can range from a basic three speed plus dimmer, to a fully functional temperature controlled remote. Whether you’re remodeling your entire home or simply wish to add a little light to a room, no form of lighting is as streamlined and well integrated as recessed lighting. Recessed lighting is artfully placed within a wall or ceiling, and as such integrates gracefully with a room. This adds greatly to your home’s aesthetics and eliminates the need for bulky and protrusive lighting fixtures. At Genesis Electrical Service, we are a full service electrician that specializes in recessed lighting installation. We’ll help you design an elegant and well integrated recessed lighting system for as many rooms as you require. We are fully licensed, insured and prepared to undertake the job regardless of size. Big or small, Genesis Electrical Service is prepared to undertake the job and outfit your home with elegant recessed lighting. To schedule a free estimate please call us today! Have it inspected before the trouble comes!! 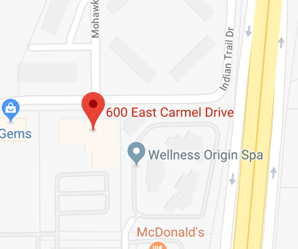 Specializing in commercial and residential electrical work, such as interior house wiring, code updates, lighting and circuit repairs, remodeling, ceiling fans, hot tubs and pools. We are a full service electrical company dedicated to creating the friendliest customer experience possible. That’s why we strive to maximize efficiency, keep our prices fair and maintain the highest level of quality and service. At Genesis Electrical Service, we are the one-stop resource for all your residential and commercial generator installation and repair, including new and used purchases, maintenance, parts and accessories. Whether you’re looking for a home standby generator to protect your family from a winter power outage or a backup generator to keep your business running during a blackout, we can help. An expert technician will be happy to recommend one that fits your energy needs, as well as install it, ensure a safe transfer of power and provide any necessary maintenance services to old or used generators. For more information or to receive a free generator consultation, please contact us today. Automating homes is one of the new rages today. There are a lot of different things you can automate. Things like using keyless locks to easily give access to vacation units, waking to coffee that is already made, or controlling the temperature before you leave (how much would you save if your A/C was fully optimized?). Install a Whole-House Surge Suppressor to protect your electrical appliances and home entertainment products. If you are going to be using a significant number of powerline automation components in your home, adding just one whole-house surge protector will give you a good insurance policy against costly damage. Work with the experts at Genesis Electrical Service to isolate non-automation loads. Having the kitchen and laundry appliances plus the heating systems on one phase of your electrical system will help keep potential noise off the automated system.